Editorial: Is the iPad Enough? Apple on Tuesday released the latest iteration of its popular iPads, dubbed the iPad ‘Air and iPad Mini with Retina Display’. While the iPad Air sports a super slim and lightweight design, new processors, and more, some have asked if that’s enough for the iPad to stay afloat as the top tablet. The iPad Mini with Retina Display brings a new Retina display, A7 chip, and advanced wireless to the table (among other features). Apple’s iPad, nicknamed the “Jesus Tablet” by early adopters, was a radically innovative product when it debuted in 2010. No other company had anything close to it; it ushered countless of Android copycats and what Steve Jobs declared “the Post-PC Era.” But are those copycats more innovative than Apple and do they have the ability to usurp Apple’s dominance? A recent study found that within the next year, Apple’s iPad will hold a mere 49% of all tablet marketshare in comparison with Android, anther dominant competitor. But why and isn’t that a large number? Well, Apple’s iPad at one point dominated nearly 100% of all tablets and that number has been decreasing substantially over the last few years. Additionally, Android is a free software, so any manufacturer can essentially “borrow” Android from Google, use it as their OS, and then ship a tablet, phone, or even an Android PC (gosh!). We’ve seen some super cheap Android tablets – ones you could buy for $39, but they’re never really caught on. 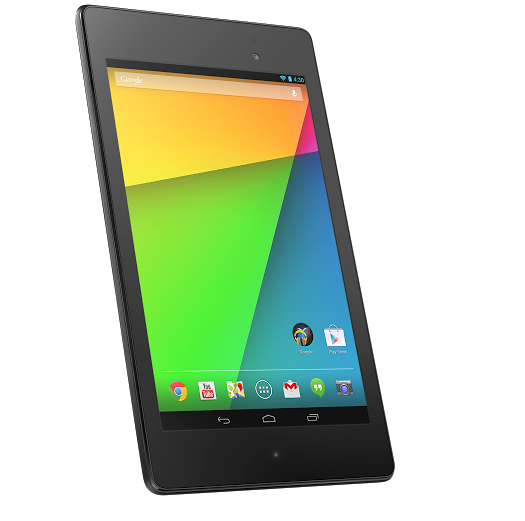 However, Google’s new Nexus 7 is certainly a hit – an a hit right at Apple. The Nexus 7 features a super sharp display, slim and lightweight design, a fast Snapdragon processor, the latest Android OS, etc. In fact, CNN rated it the best Android Tablet one can buy – that says something, especially for a tablet so affordable With all these are incredible features, the most remarkable is the price. The new Nexus 7 comes in at $229, one hundred dollars cheaper than Apple priced the iPad Mini when it was released last year. Shocking? Well, yes it is. Consumers know that when they purchase an Apple product, they’re given an incredible device, amazing support, and a world full of hundred of thousands of apps. Google doesn’t offer amazing support – believe me, I’ve tried reaching out to them – and they don’t have a world of hundreds of thousands of tablet-designed apps. However, these factors are developing. Google’s support does indeed get better, while developers are designing tablet optimized apps. So what does this mean for Apple? It needs to lower the price of its iPads to stay king among some intense competition. Apple’s first generation iPad Mini (which is still around, fyi), is now being sold for $299 – only $30 cheaper than when it was released. The current iPad Mini with Retina Display is being sold for $399 – $170 more than the Nexus 7. This brings a new question to mind, “Is the iPad Mini with Retina Display better than the Nexus 7?” Well, that’s a decision you have to make, but it’s an important one. This entry was posted in Apple, Editorial, Google, iOS, Opinion, Tech Industry and tagged Android, Apple, Google, iPad, iPadMini, Nexus 7, Retina Display. Bookmark the permalink. with the format for your blog. Is this a paid topic or did you customize it your self? Thnk you for the kind words. It is a free blog, we get nothing from writing. so that the average entrepreneur could understand the benefits and pitfalls to social media. I mean, what you say is important and all. However think of if you added some great images or videos to give your posts more, “pop”! Thank you. We often include media such as images and video. Check out our homepage!! nobody else know such detailed approximately my difficulty. Go to the homepage and select “Email Updates” type in your email and you’ll get news when we send it out. Hi, I’d love to help you out. Please email me at info@infinityapps.org and let’s get this resolved! with the format in your weblog. Is that this a paid theme or did you customize it your self? I will right away clutch your rss feed as I can not in finding your email subscription hyperlink or newsletter service. We do – go to the Main page and type your name in. too magnificent. I actually like what you have obtained right here, certainly like what you’re saying and the way through which you assert it. blogger. I’ve joined your feed and sit up for in quest of more of your great post. that about 5% of the replacement will be added to the home owner depending on structure. roofing material is not suitable. him as nobody else recognise such particular about my difficulty. Thank you for every other magnificent article. The place else could anyone get that type of info in such an ideal method of writing?